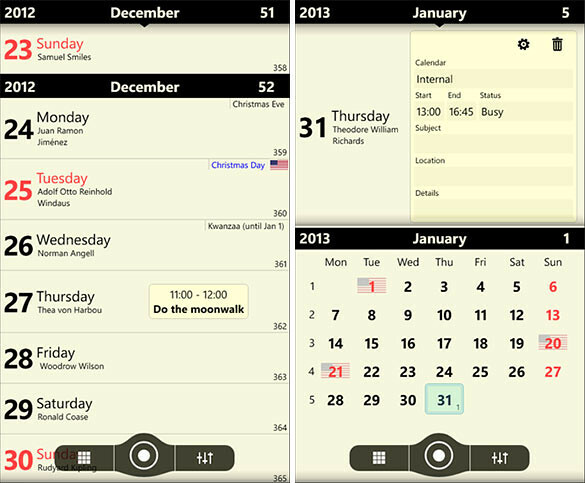 If you think the stock calendar for Windows Phone is sucky, then you have to try this one out. It’s free by the way. The graphics are very hi-res and comes with the usual split view of month calendar along with the list of events above it. The interface is simple as well with 3 buttons at the bottom of the screen; Switch view, jump list and settings. Chronos Calender syncs with the default calendar on the Windows Phone so you can fully substitute it with this one here. Live Tiles look great too. 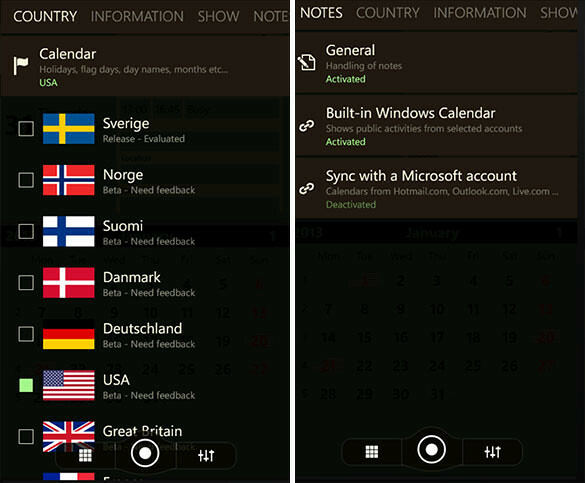 – New tiles for everybody WP7, WP7.8 and WP8. – Handles 256Mb phones correctly. – For WP8 – create an appointment directly from the app on any account google/exchange… + recurring events. – Direct access to some functions through the middle button. – Welcome country calendars: USA-spanish, Finland-swedish, Ukraine, Switzerland-italian, Switzerland-french, Austria, Hungary, Croatia, Portugal and Slovakia.